Because January is National Cervical Cancer Awareness Month, our team at OB/GYN Specialists reminds you about the importance of a routine Pap test. This simple, noninvasive screening is your first line of defense against cervical cancer and other reproductive health issues. A Pap test is a preventive screening used to identify the earliest stages of cervical cancer. The test can also determine if there are abnormal cells developing in your cervix, which can increase your risk for cancer in the future. Generally, a Pap test is recommended for women beginning at the age of 21 and should be repeated every one to three years. If you have a history or a family history of cancer, you may need testing more often. Pap tests are done during a routine pelvic exam. Your doctor collects a sample of your cervical cells. This collection process is easy, requiring only a quick swabbing of your cervical area. Once the cells are collected, your doctor sends them to a medical laboratory for further analysis. The results of a Pap test are classified as either normal or abnormal. Normal test results indicate there are no changes in cervical cells and no sign of cancer. If your results are abnormal, it doesn’t automatically indicate you have cancer. 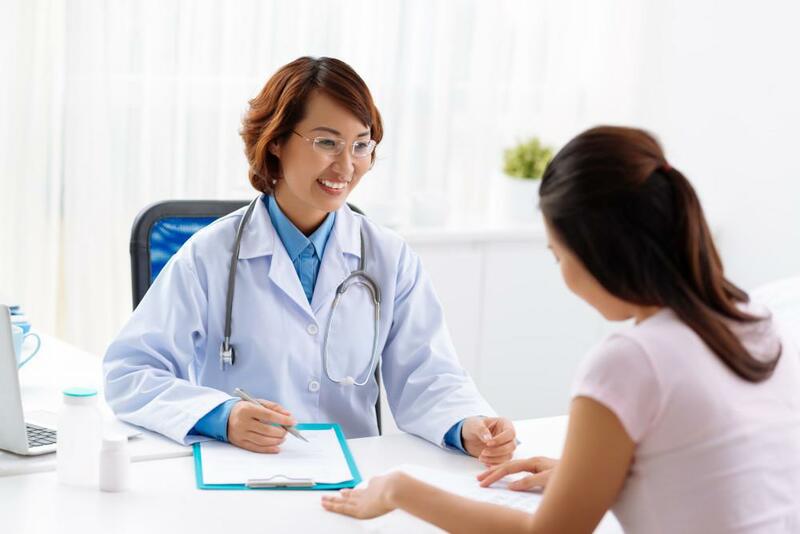 There are a number of reasons your Pap results can be abnormal, and your doctor may recommend another Pap test before recommending the next step. Abnormal Pap test results may also detect the presence of human papillomavirus (HPV), a sexually transmitted disease that can cause genital warts and increase your risk for cancer. In some cases, your Pap test results may come back abnormal for no reason at all. If your abnormal Pap test results do indicate the presence of precancerous or cancerous cells, your doctor may administer another Pap test to confirm the results. They may also perform an HPV test to confirm or rule out the presence of an infection. If there’s a concern for cancer, you likely will undergo a colposcopy procedure, where a special microscope is inserted into your vaginal canal to closely evaluate your cervix. During this test, your doctor may perform a biopsy. This type of biopsy is known as a cone biopsy, where a small, cone-shaped portion of cervical tissue is removed for evaluation. The specific shape of tissue ensures your doctor removes a good sample of cells in an area where abnormal cells typically form. If cancerous cells are present, they can be effectively destroyed through a freezing process or through a loop electrosurgical excision procedure (LEEP). This procedure uses a specialized heated wire instrument that removes affected cervical tissue. In many cases, a LEEP procedure can remove all abnormal cells. If your biopsy confirms cancer, your OB/GYN Specialists doctor works closely with you to determine the best course of treatment. Because the efficiency of a Pap test can help your doctor identify and remove abnormal cells quickly, it goes without saying that this simple preventive screening can save your life. Otherwise, abnormal and cancerous cells can take months or years to show symptoms — often when it’s too late for treatment to be effective. For this reason, routine Pap tests are a must for all women. Schedule your Pap test today and learn more about the right testing schedule for you by calling OB/GYN Specialists or using the online booking feature. How much do you know about uterine fibroids? Turns out, they’re very common. Don’t worry, though - they’re not as scary as they sound. Women with endometriosis have a significantly lower chance of getting pregnant. Having the condition doesn’t mean you can’t have a healthy pregnancy, however. Get your endometriosis questions answered. Since the symptoms of menopause coincide with the loss of hormones, it makes sense to simply replace them, right? Yes... and no. Here’s what you need to know about hormone replacement therapy. If you’ve heard horror stories about your mom’s or grandmother’s hysterectomy, and you’re worried about having that surgery for yourself, you’ll be relieved to learn about modern, robotic hysterectomies. The number one goal of excellent obstetric care is to guide you through a healthy and safe pregnancy and delivery. The best advice is to start getting healthy before pregnancy to lower the risk for you and your baby.